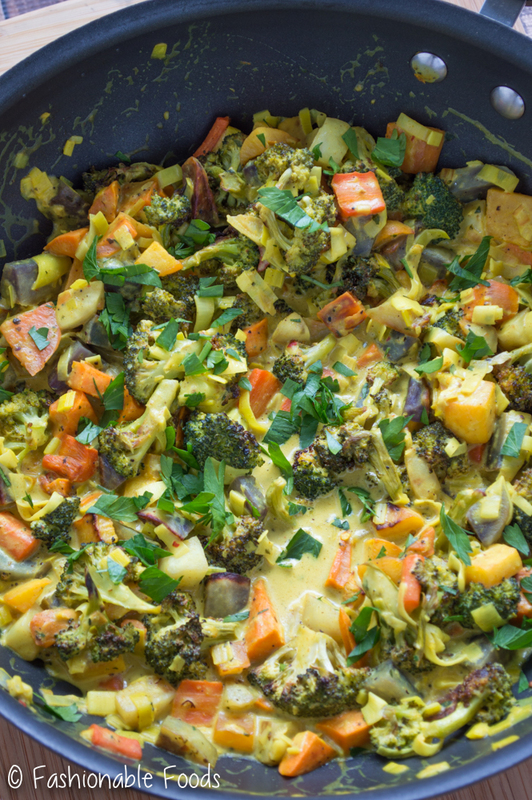 A colorful mix of root vegetables are roasted to crispy perfection and smothered in a flavorful yellow curry sauce. Serve over hot cooked rice (or cauliflower rice) and add a squeeze of lime for a tasty vegan meal! Happy Monday friends! Did you all enjoy your weekend? Do anything fun for Valentine’s Day? Kyle and I stayed in all day yesterday because it was pretty dang cold out (wind chills below zero!). Saturday night we made steaks and then last night Kyle made me a Blue Apron dinner. Have you guys heard of blue apron? 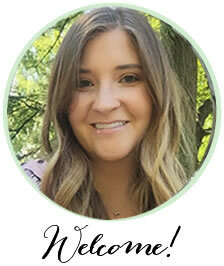 It’s basically a subscription meal service – they send you everything you need for 3 (or more) meals. I’d like to go into more depth about what it is and how we like it, so I’m going to post a review within a week or two, so stay tuned for that! Anyway let’s go back to Kyle making dinner. He made the entire thing on his own (aside from me quickly showing him how to cut the carrots). I can’t tell you how nice it was to get work done while someone else cooked dinner. What a perfect night! Definitely the best V-Day gift to date. Ok, let’s talk about curry! ? I love me some curry. There is just something so exotic and comforting about it. The flavor is unbeatable, plus anything that gives me an excuse to eat rice is a win in my book! The inspiration for this roasted root vegetable curry comes from two different blogs. 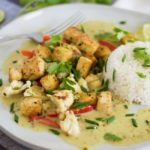 A few weeks ago I stumbled upon a recipe for Easy Thai Yellow Curry Paste from Lindsay over at Pinch of Yum. I made it and became OBSESSED. Although it may seem daunting to make your own curry paste, it’s actually ridiculously easy. I promise! Plus, you’ll end up with a nice amount of curry paste that you can freeze! That means you can make curry over and over again in very little time. I’ve been having it once a week ?. The first two times I made curry I did chicken with mixed veggies. Excellent, of course. 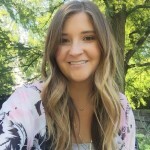 But then Annie (from The Garlic Diaries) posted a recipe for Crispy Potato Curry where she ROASTED the potatoes before smothering them in curry sauce. I knew I had to try that. Thanks to my CSA, I have a fridge full of root vegetables. So, I decided to roast them up and make curry! I also added broccoli because I have a fridge full of that too. I used quite an array of colorful vegetables here. There’s sweet potato, purple potato, turnip, carrots, broccoli, and Jerusalem artichokes. 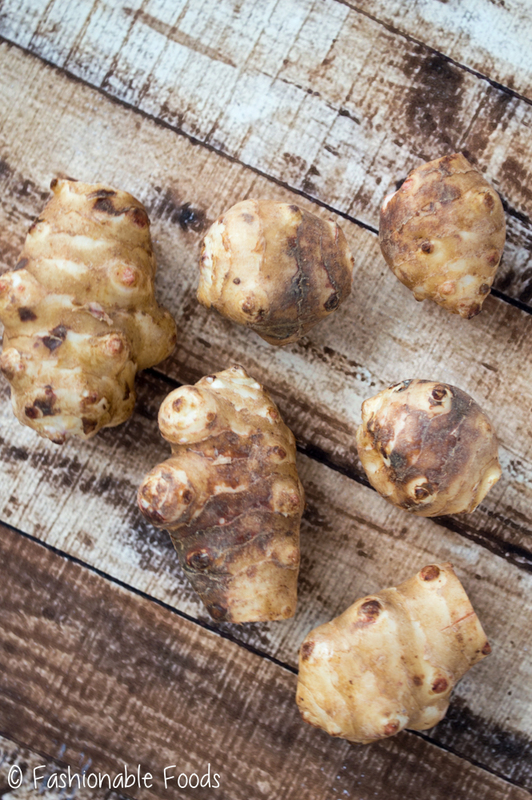 Have you ever had Jerusalem artichokes (pictured below)? They are similar to a potato, but a bit less starchy, have a crunchy texture, and taste very similar to an artichoke. They are quite tasty in my opinion! The great thing about this recipe is that you can use any root vegetables or any other vegetables that you like! It’s more of a method rather than a recipe. Since root vegetables are starchy, this is a pretty high-carb recipe. If you eat low-carb you can definitely make substitutions to lower the carb count. Pretty much anything that you like roasting will work beautifully in this recipe. Check the recipe notes for some ideas! But, if you’re like me and equate carbs with comfort food, then you’ll probably love this recipe as is! Roasting the vegetables first really imparts another layer of flavor and texture into the curry. Then you have the sauce ? Homemade curry paste + sautéed leeks +creamy coconut milk = heaven. Pure heaven. The texture. The veggies will stay crispier (obviously) if you wait until you’re serving to pour the sauce over top. Leftovers. I mixed the sauce and veggies together for my photos, but then when I packed it all upend refrigerated it, the starchy vegetables soaked up all of the sauce. Meaning the leftovers had barely any sauce, which is just unacceptable! I added some veggie broth to help with that, but it definitely wasn’t the same as when it was first made. 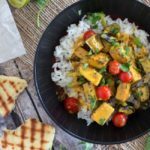 I love this curry so much that it’s on my menu for this week! I just can’t get enough. Plus, I still have a fridge full of root vegetables to use. ? 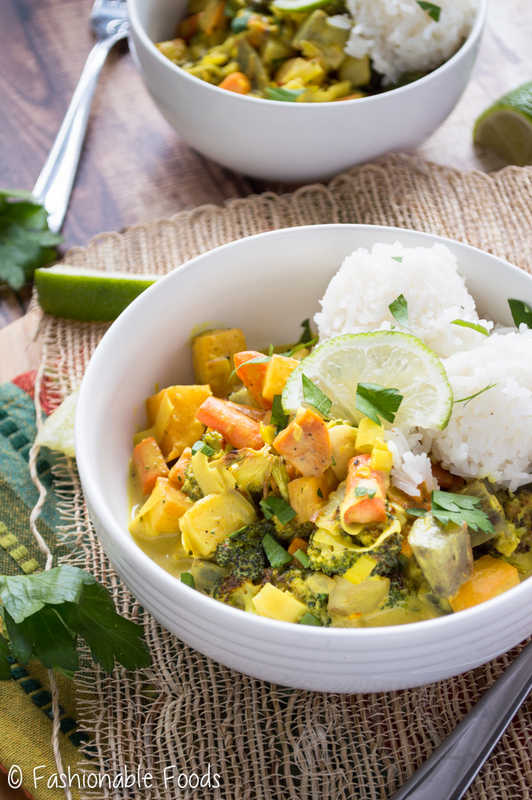 If you’ve never had curry, you definitely need to give it a shot! I know a lot of people seem to be intimidated by it or think it will be too hot. However, by making your own curry paste you can totally control the heat level! So, don’t be scared – you won’t be disappointed! 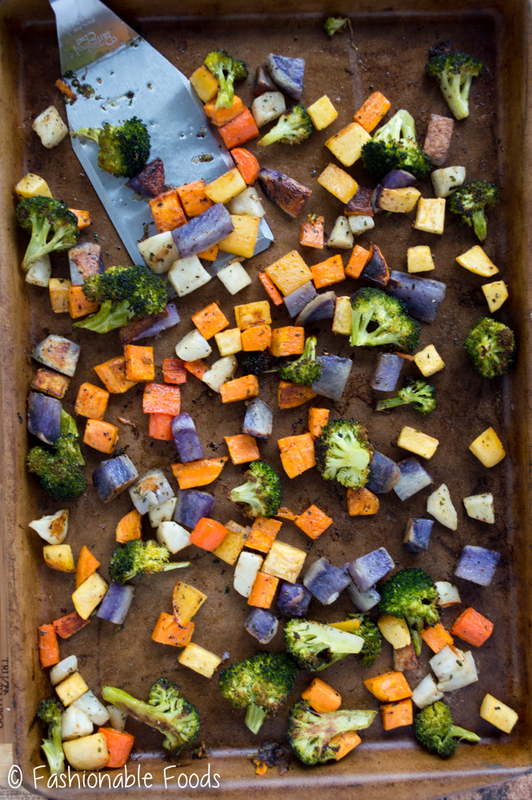 Combine the sweet potato, purple potatoes, turnip, carrots, Jerusalem artichokes, and broccoli in a large bowl. Drizzle the olive oil over the vegetables and season them liberally with salt and pepper. Add in the garlic powder and parsley and toss well until the vegetables are evenly coated. Divide the vegetables equally among 2 baking sheets. Roast the vegetables for 30-35 minutes, rotating the pans halfway through cooking. You want the veggies to be tender and crisp around the edges. Meanwhile, prepare the curry sauce. Heat a wok or skillet over high heat and add in the teaspoon of olive oil. Sauté the leeks until wilted and soft, about 30 seconds – 1 minute. Add in the curry paste, coconut milk, and ½ cup of the vegetable broth. Bring the sauce to a low simmer and allow it to cook for 15-20 minutes. If the sauce thickens too much and you want to thin it out, add an addition ¼- ½ cup of the vegetable broth. Assemble the curry by placing some rice (or cauliflower rice) in a bowl, top with roasted vegetables, and then pour some of the curry sauce over top. Serve with lime wedges. 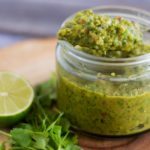 *The homemade curry paste is SO flavorful and makes a big batch that you can freeze. It’s also very easy to make, but if you’re able to find yellow curry paste in the store, you can definitely use that. 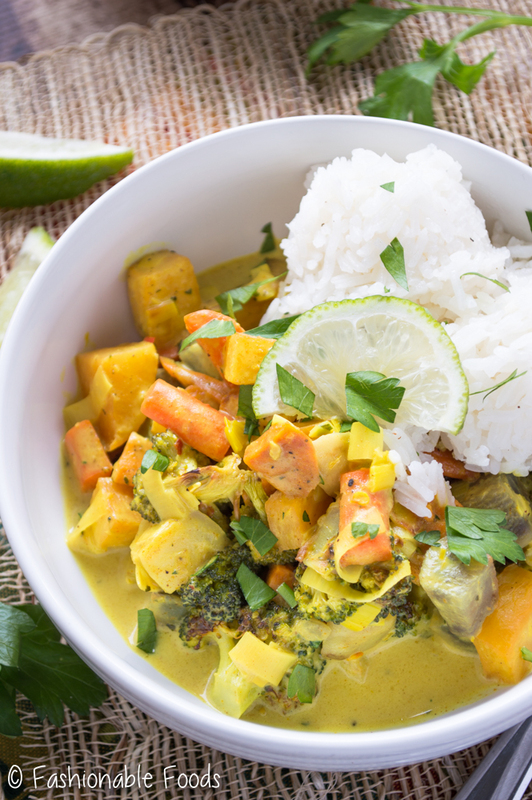 *If you want to use light coconut milk, use 2 cans and omit the vegetable broth in the recipe. If it’s too thin in texture, you can let it cook longer to reduce it down a bit. Because root vegetables are starchy, I recommend keeping the sauce separate so that the vegetables don’t soak it up too fast. To make a low-carb version you can swap out the root vegetables for any other vegetables you like and serve the curry over cauliflower rice. Bell peppers, zucchini, yellow squash, asparagus, and mushrooms would all roast up beautifully and make a tasty curry. You can also wilt in greens like spinach or kale! Sounds like you had a relaxing Valentine’s Day! My husband and I did the same…it snowed, so we stayed in and ordered a heart-shaped pizza, our Valentine’s tradition! This curry looks so good, Keri! I’m embarrassed to admit that I’ve never actually made my own before, but I do love it! I definitely need to change that after seeing this recipe. I love the hearty veggies you used. Sounds perfect for a healthier meal! Pinned! I saw your heart shaped pizza on Instagram – so cute! 🙂 You should definitely try making your own curry – it’s so easy and tasty. Thanks for the kind words, Gayle! We stayed in too, Keri, wayyy to cold to leave the house! I have heard of Blue Apron, but I’ve never used it… I’m very hesitant of food delivery like that, so I can’t wait to read your review of it! Yay to roasted vegetable twinning! LOVING this dish! 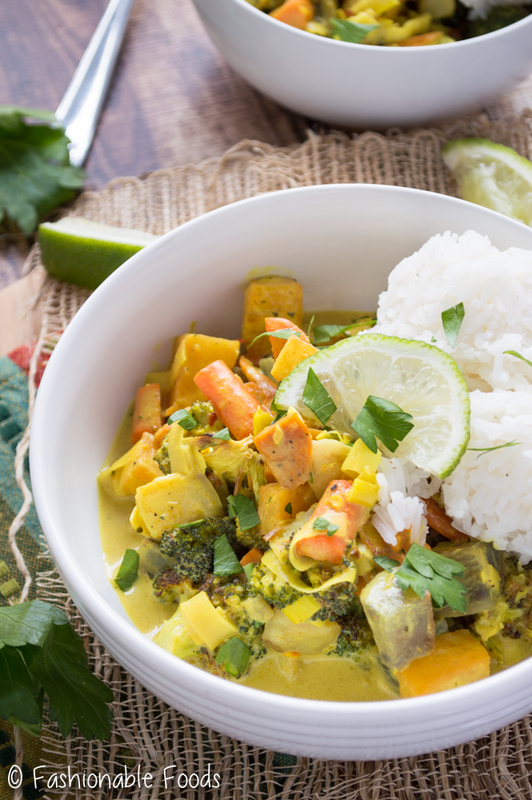 Healthy, yet delicious and that curry sauce looks amazing! Gimme Gimme! Cheers, doll! We totally ditched our plans to go out and stayed in because it was so dang cold here! I’ve been experimenting with different types of curry lately, but never tried roasting veggies first! I think that’s a fantastic idea! I’ve never tried Blue Apron and look forward to your review. There was another service here in Charlotte that I used about 5 years ago and I really liked it!